The FolkWorld webzine started out when there was kind of a folk/world/roots music revival in the mid 1990s. The millennium however saw major interest dropping. The word Folk disappeared from the British Folkroots magazine as well as the German Tanz- und Folkfest Rudolstadt, since then going under the name of fRoots and TFF. These days festivals, even as prestigious as Denmark's Tønder Festival, are struggling for survival. In the Netherlands, our long-time friends from Folkwoods called it a day, and its successors launched a smaller budget Parkfest. The French Rencontres Internationales de Luthiers et Maîtres Sonneurs, the important rendezvous for instrument makers since 1976, ceased operations this January. On the other hand, folk music is still thriving. There's a scene of young performers who are taking up the banner again and are introducing folk music to a new audience. This is quite different from country to country. At the moment I would say: Britain - fine! Spain - sufrimiento! Germany - nix-genaues-weiss-man-nicht! But what's most important, the F Word doesn't act as a deterrent anymore. They call it nu folk these days, and beyond doubt their most successful representatives are chart-conquering Mumford & Sons. You might argue that their music has nothing to do with folk music at all. 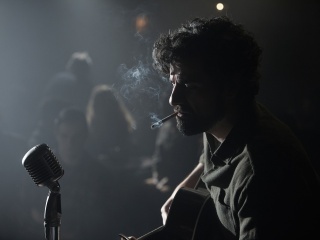 Marcus Mumford though made it onto the soundtrack of Inside Llewyn Davis and even if the Coen Brothers' film will not create such a buzz for acoustic troubadours as their O Brother Where Art Thou? did for old-time music, simple and plain folk music comes up time and time again as if nothing had happened.